With winter closing in, Elly Cartwright dreams of escaping her inner-city existence for a more carefree life in the country. On a drizzly Monday morning, the view from her tram window is grim, and she isn't looking forward to yet another mundane working week. But Elly's week will be anything but mundane, with two people she's closely associated with murdered in quick succession and two attempts on her life. 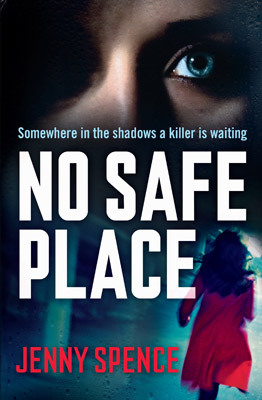 This thrilling debut crime novel by Jenny Spence will keep you on the edge of your seat - after you've locked your doors and windows!